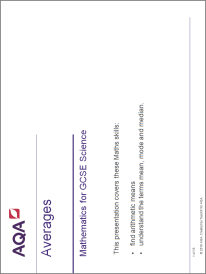 We have worked with AQA to create science resources which support the new AQA GCSE Science specification. 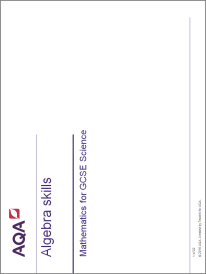 This collection of resources focuses on mathematics in science. 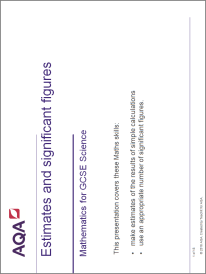 You can use these presentations to teach your students the mathematical skills they will need in their science assessments. 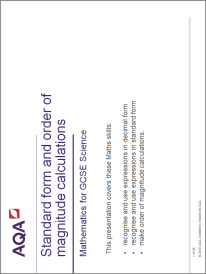 The presentations introduce the maths clearly with science related examples. 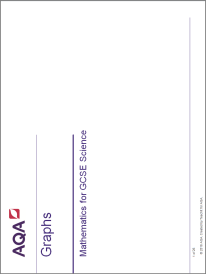 They also include practice exam questions and marking guide to test your students' understanding. 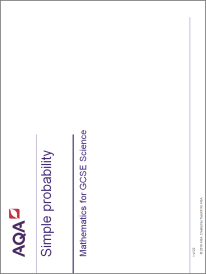 You can use and download these resources for free.You can also download the latest GCSE Science specifications.